Xiaomi to launch Mi6X/MiA2 on 25th April and Redmi Note 5 pro available for pre orders. Xiaomi is going to hold an event in China on the 25th of this month where they’re going to launch their new smartphone. There have been many rumors regarding which device will be unveiled, but it is most probably going to be the Mi 6X which can also be dubbed as Mi A2. The rumors surrounding the device suggest that it will have a 5.99” screen of 1080p+ resolution, 4GB + 64GB memory and a 2,910mAh battery. Mi 6X/ Mi A2 will feature the Helio P60 chip instead of Qualcomm’s. The back of the device will house a dual camera setup which is going to be an upgraded version of the Redmi Note 5 pro which was widely acclaimed by its users. The launch itself will be organized at the Wahun Univerity which is the alma mater of the CEO and founder of Xiaomi Mr. Lei Jun. There has been no other announcement about the device and when and if it will be available in other markets. 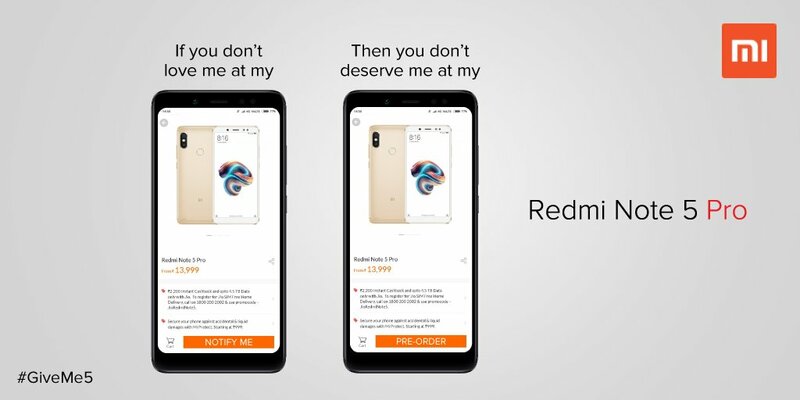 Apart from this Xiaomi India has decided to make it easier for customers to buy their Redmi Note 5 pro by giving an option to pre-order the device. This will be a blessing for many people who just couldn’t get their hands on the device during the flash sales. But this also has a drawback as now you can’t opt for the Cash on Delivery payment option. This option is available on Xiaomi India’s official website Mi.com from 12 PM today. The phone will be delivered by the company within approx five business days. Nubia Z18 mini is ZTE’s latest midranger with NeoSmart AI.